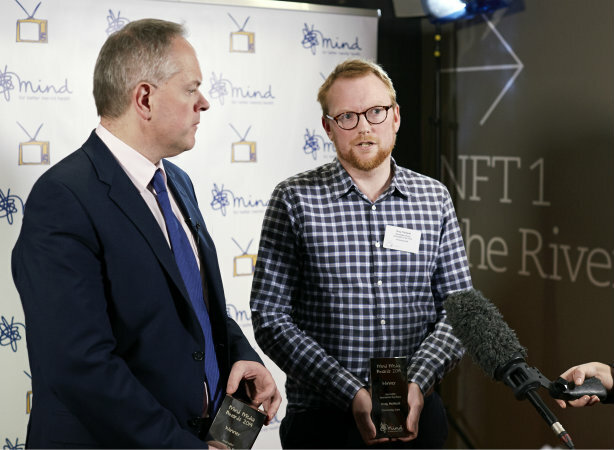 Community Care journalist Andy McNicoll was named journalist of the year at last night’s Mind Media Awards for a series of investigations that exposed the crisis in mental health care. Andy shared the award with BBC social affairs correspondent Michael Buchanan, with whom he collaborated on the investigations into issues including the shortage of mental health beds, cuts to community services and children being placed out of area or on adult wards. At last night’s awards, Mind’s chief executive, Paul Farmer, praised the pair for their campaigning journalism, and the judges said their pieces highlighted the need for more funding for mental health services. Andy’s and Michael’s investigations both quantified the scale of cuts in mental health services at a time of rising demand and captured the impact this was having on patients and professionals. In October 2013, they revealed that professionals were regularly struggling to find emergency hospital care for severely ill patients and that hospitals were running at occupancy levels of over 100% following the closure of 1700 beds over two years. Professionals said that the system was unsafe and Andy and Michael found that one patient had taken her own life after practitioners tried to admit her onto an NHS unit only to find that no beds were available. While bed closures have been justified by the need to release savings to invest in community care, Andy and Michael’s next investigation found that investment in crisis resolution teams had declined by 1.7% in real terms from 2011-12 to 2013-14, despite rising demand. They found that the cuts meant patients were not being seen regularly or quickly enough, and that out-of-hours care was lacking. Care minister Norman Lamb said the findings were “unacceptable” and conflicted with the government’s position that NHS commissioners should not disadvantage mental health in favour of physical healthcare. Andy and Michael then revealed that growing numbers of acutely unwell children were being placed on adult mental health wards – something NHS bosses said was “completely unacceptable in the majority of cases – and many were being sent miles from home. The driver, again, was a shortage of beds on child and adolescent mental health units. One psychiatrist said that he and colleagues were sometimes having to make 50 to 100 calls to find a child a bed. Their latest investigation, in May this year, found a 33% rise in the number of adults sent out of area for mental health inpatient care, at great cost to mental health trusts and damaging continuity of care. Alongside these investigations, Andy has done a series of reports bringing to light the realities of working in mental health social work under the current service pressures. These included a 48-hour stint with Devon’s approved mental health professional team that laid bare the immense challenges of finding beds for patients undergoing Mental Health Act assessments. Andy and Michael’s achievement has been celebrated across the mental health sector.